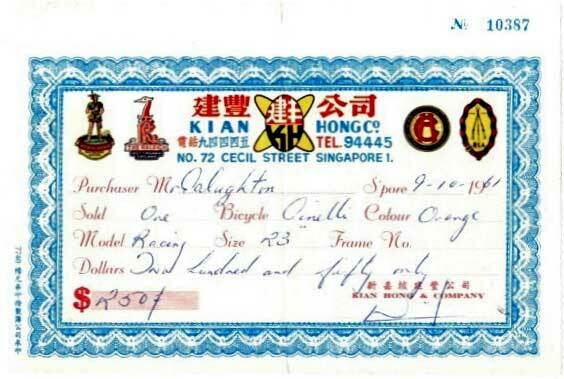 In 1961, a red Cinelli Corsa is purchased from a local bicycle shop in Singapore for a mere $83. Genesis outlined, let me acquaint you with its next 56 years. Before diving into the Cinelli, let’s begin with the owner. A cognoscente of truly incredible vintage bicycle restorations, Bob Freeman has a history of numerous rebuilds, each impressive in its own right. Tastefully completed revivals and consistently on-point paint schemes and component choices. He gently coaxes vintage patina out of some builds and incorporates newer parts in with ease to others, all the while without disturbing overall aesthetics. In short, Bob is exceptionally accomplished in vintage bicycle restoration and I consider myself fortunate to have one of his masterpieces showcased here. 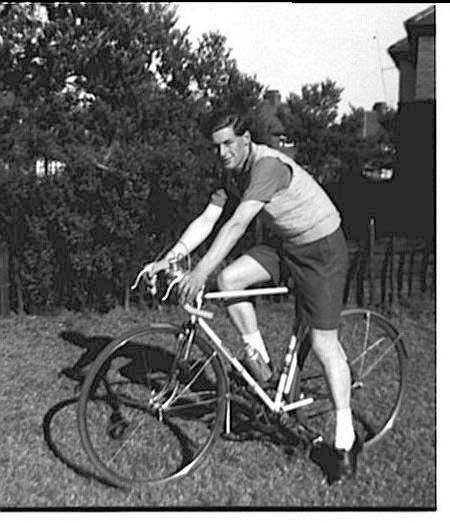 Mr. Freeman started his cycling career in 1973. In 1976 he embarked on a journey that would define his life by leading a successful trip across the United States on Bikecentennial. Moving to Seattle on his return, he entered the bicycle industry as warehouse manager for Sekai Bicycle Co. and then as manager of the new shop De La Rosa and Kolin’s Northwest Cycle, in 1980. That shop quickly became the go-to pro shop in Seattle. In 1983, Bob partnered with Bill Davidson in Elliott Bay Bicycles, a shop they ran successfully together making a few thousand Davidson bikes until 2014. Now retired, Bob still frequently rides and restores bikes for himself and friends. This entry is precisely what I envisioned for the concept of Tell Your Story, thus the the extended length of this post compared to past stories told. This entry is special because of the completeness of the entire package. The profile begins with the original owners history, and documentation. All acquired by Mr. Freeman and his own curiosities upon his acquisition. The next chapter includes slight frame alterations, paint, rebuilding along with a glorious renaissance and even a post-build story. The real icing on the cake, for me, are the crisp and artful photographs taken by Bob himself. All images below belong to Bob. And with so much visual documentation, it would be cheating the full narrative by only providing rebuild photographs when the entire story is equally as significant. To allow for quick access, I placed rebuild images just below. For those who want to wander into the weeds, below is Bob’s full story and images on the pre/post build along with history. 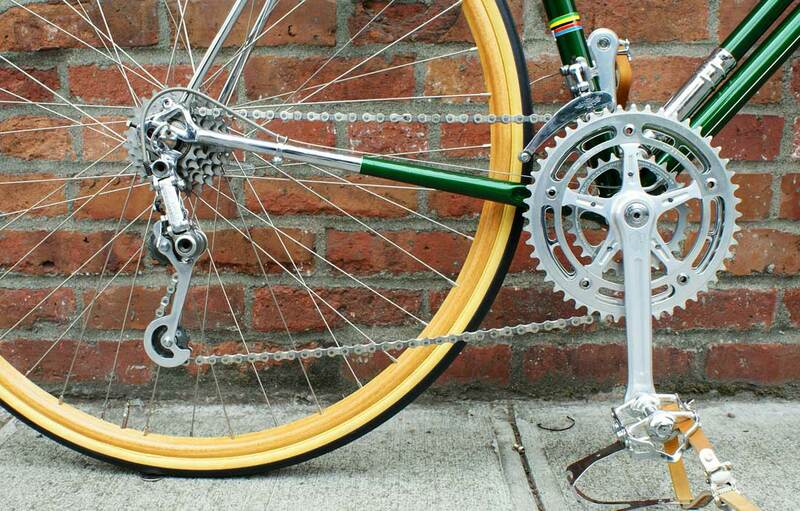 Do you have a bicycle with a history you feel is worth sharing? If so, please consider contributing your own journey to Tell Your Story. 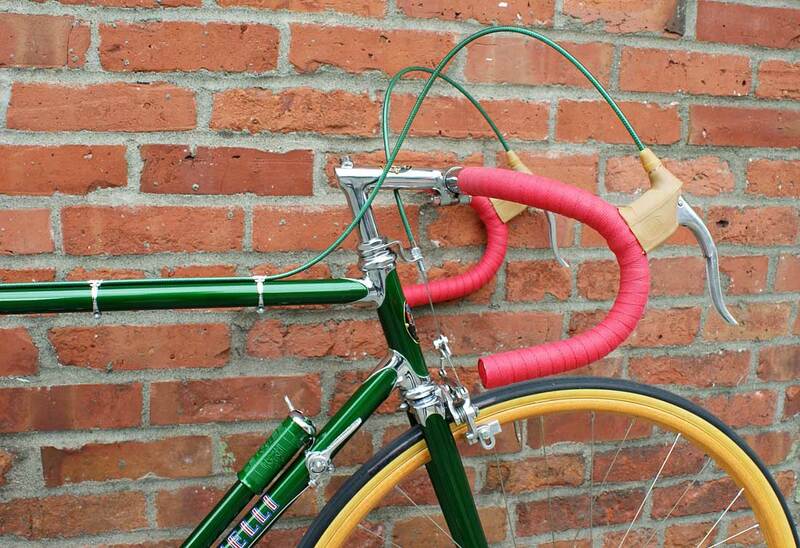 The Cinelli Corsa (also known as the “Model B”) was the recreational version of the classic Cinelli Supercorsa. Made to the same standards, but with slightly more relaxed angles, and greater clearances. 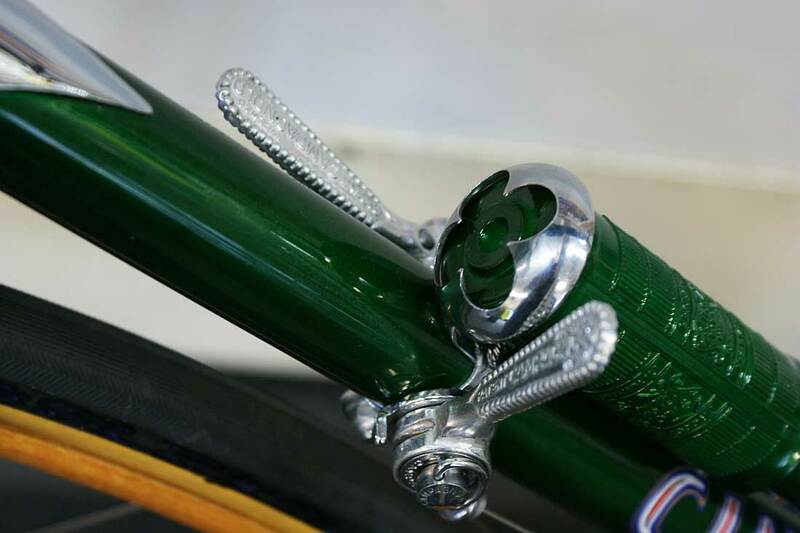 Even though it has eyelets for fenders, it was still considered a racing bike, as racers often used fenders in those days for training in the winter. This example was found in the United Kingdom, which is not strange even though it is an Italian bike, as it was owned by a Brit. 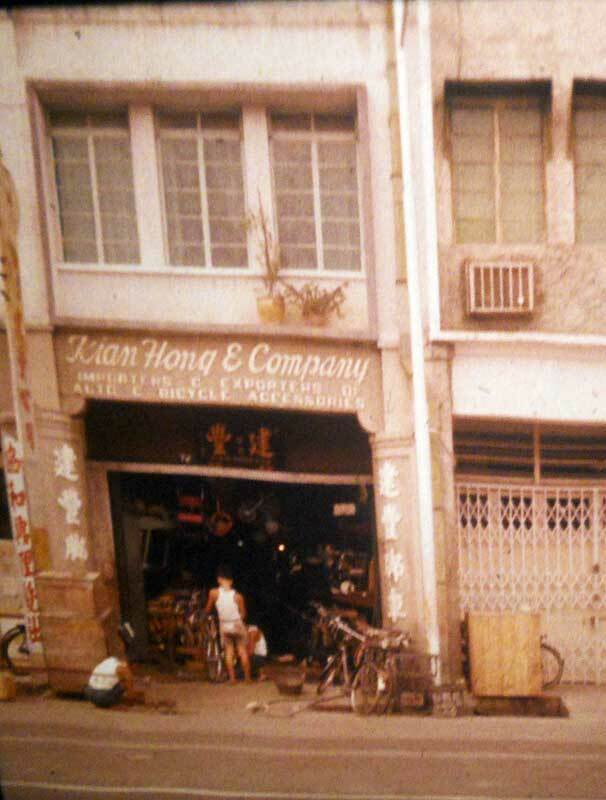 He bought it however, when he was in the Royal Air Force, and stationed in Singapore, in 1961, from the Kian Hong Cycle shop, a small hole-in-the-wall shop then, and a large, successful importer now. His name was Gordon Claughton and I was able to track him down in Leeds. Turns out Gordon and I had a connection in the person of a former Irish National Champion who lived in Seattle. One of my mentors in my early racing days. Gordon would be about 77 now, and when I found him, he was still riding, albeit not like he did in his racing days. Gordon raced the bike in road races and as a fixed gear in flat track races in Singapore, then took the Cinelli back home to the United Kingdom and raced it there too. It went away for awhile, then came back to him, but was eventually sold and I ended up with it from an eBay sale. Frame and fork anyway. 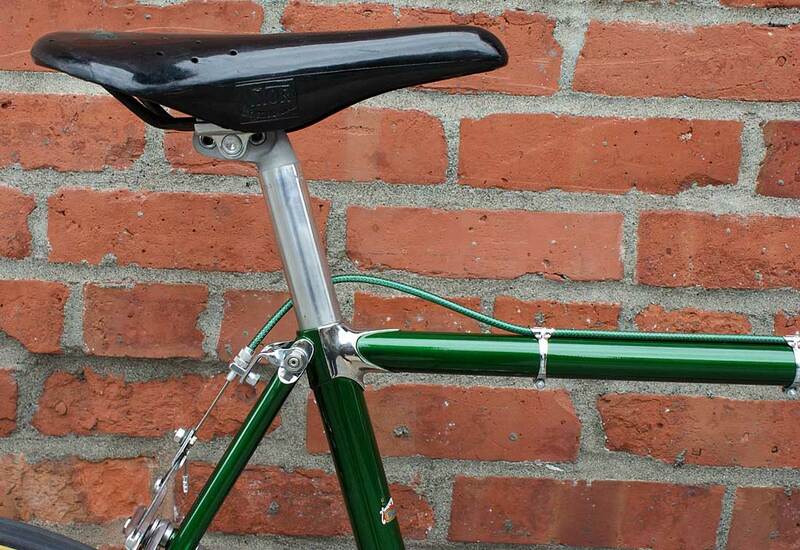 I restored it in my shop Elliott Bay Bicycles, choosing a green color that was used on this model at that time, with new chrome in the appropriate places. I built it up mostly period correct, but to my taste with L’Eroica-friendly triple gearing, and wood rims. The wood rims are surprisingly durable, and very suitable for L’Eroica, as they are quite strong and resilient, and do not get hot from the brakes. I make my own brake pads from wine corks (Chianti corks work best!). I was lucky to be able to go to L’Eroica Italy in 2012 and took this bike. 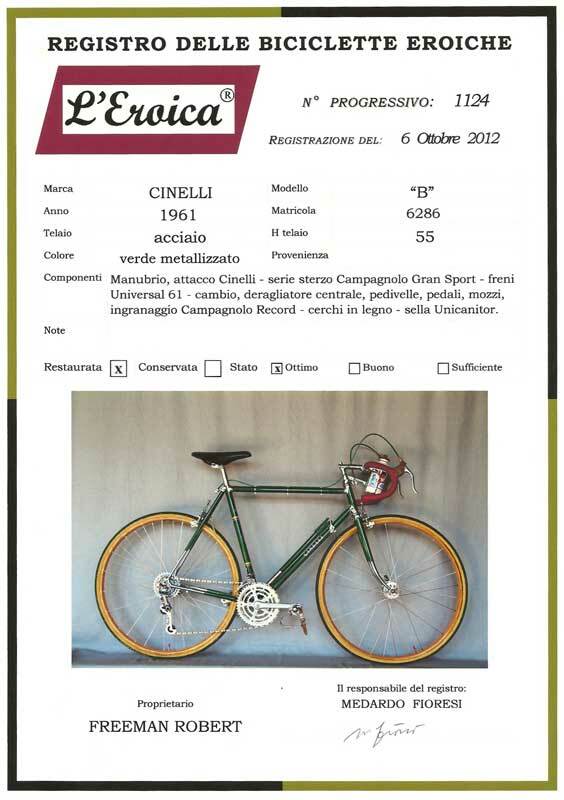 I registered it with L’Eroica there and the examiners pored over it very carefully. I also met Giovanni Cermenati there, the patriarch of the family that makes the Ghisallo wood rims. He was thrilled to see such a fine bicycle sporting his rims. 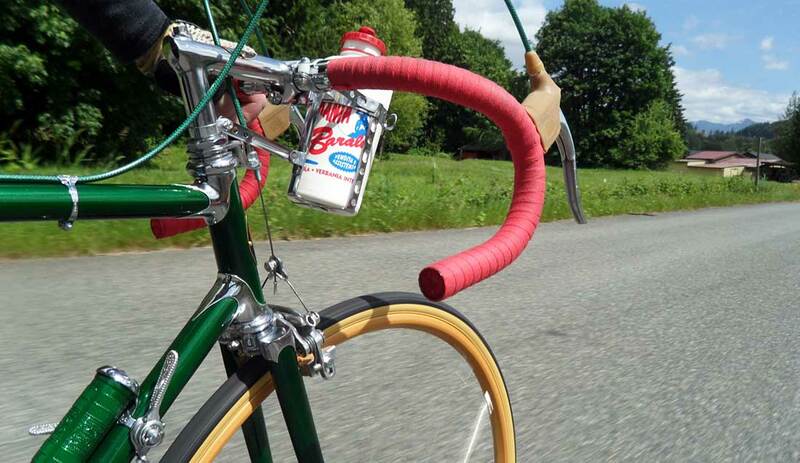 We rode the 80-mile route of L’Eroica, and also many other rides in the area and the bike proved its mettle very well. Comfortable and stable on the worst of the strada bianca there, and well geared for the somewhat extreme terrain. 5 years later, I am still riding the same Veloflex tubulars and continue to appreciate the Cinelli as a distinguished prize in my large and eclectic vintage bike collection. Gordon Claughton was the first owner of the Cinelli but later sold it to a collector who quickly turned it over to eBay. Through the eBay sale, Bob was able to find out more about the original owner, contact him and coax a more complete history from Gordon, told in his own words below. Hi. 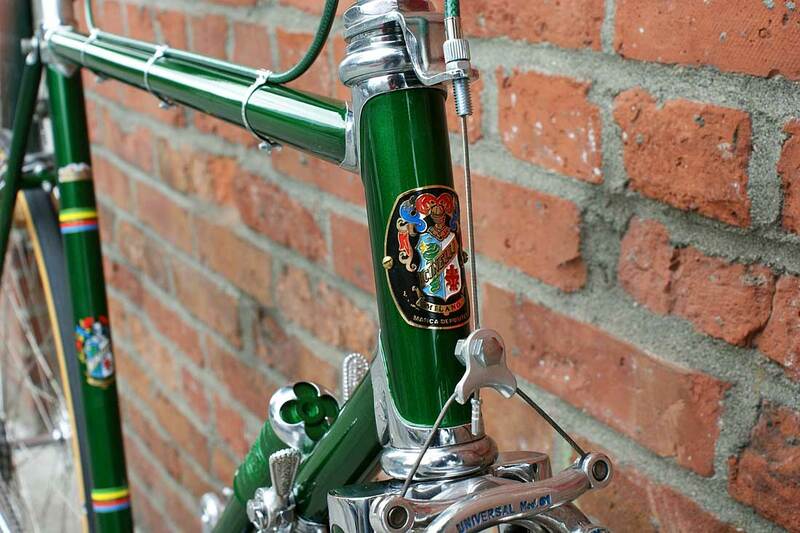 If the Cinelli you bought was mine, it was powder coated I could not afford at the time to have good chroming done the head badge was stuck on I sold the bike as shown in the photo complete to a local collector/dealer. The cost was in Singapore dollars.There has always been arguments to what size a frame is, my concept is center of the bottom bracket to the center of the seat tube. The ravages of Singapore weather and sweat soon affected the frame so I had it sprayed Battleship Grey. I brought it home and had it sprayed Bianchi blue. I sold it to a friend in the 70`s and he gave me it back for free, I collected some bits and had it powder coated as near as possible to the original color I then rebuilt it and rode a few times. Original specs as near as I can remember was Campagnolo Gran sport gears front changer matchbox type, Legnano cranks (cotter pins), Magistroni rings possibly 47/51, Weinmann Brakes and rims with Normandy hubs, 27″ x 1.25″ wired on. 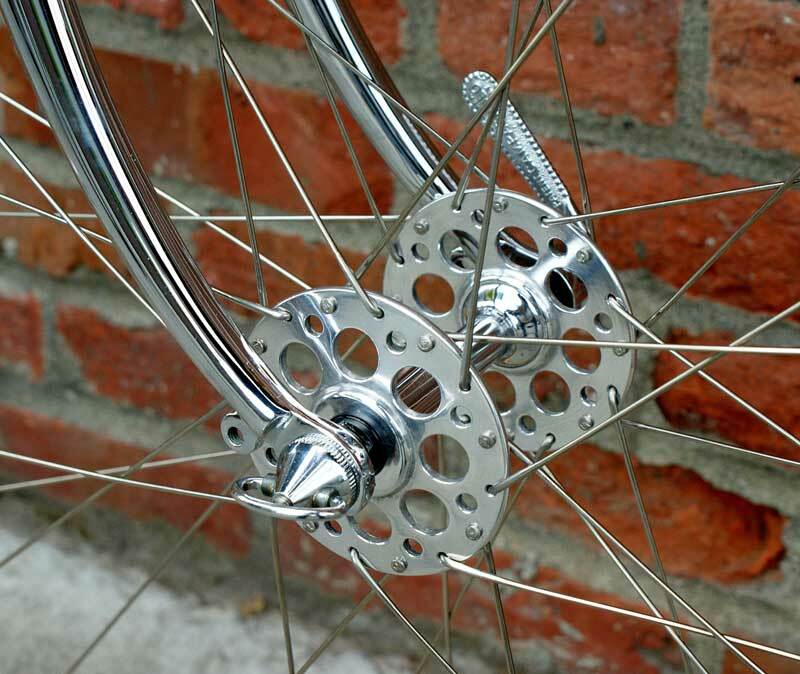 Later Campagnolo hubs on Fiamme rims with Clement Tubulars. 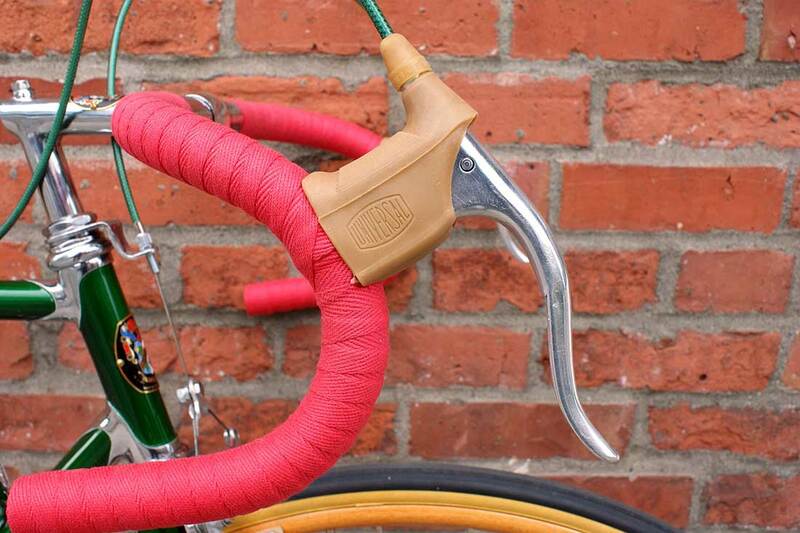 A Brooks saddle, Cinelli steel badged stem & Cinelli Bars. I have been in touch with Kian Hong and have attached some articles plus pictures of the Kian Hong shop with my bike being worked on. I hope this is useful. 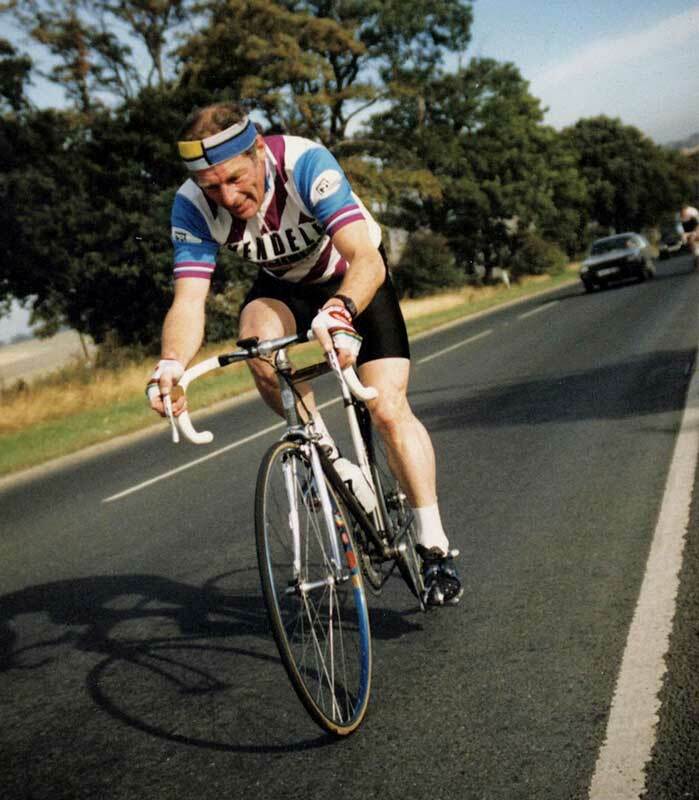 I do still cycle although not as much after having heart surgery and a mini stroke but at 74 I still can average 14 mph on a 20 mile ride on either my Colnago, Bianchi & a Reynolds 653 tubed bike made locally, all are steel, raced time trial from age 48 to 54. Although frame repairs were minimal, some alterations had to be made. Bob’s careful eye and early catch saved serious issues before the frame was rechromed and masterfully painted. Although the detail in the chroming, paint and exceptional decals are incredible, I found myself lost in some of the details of the components. 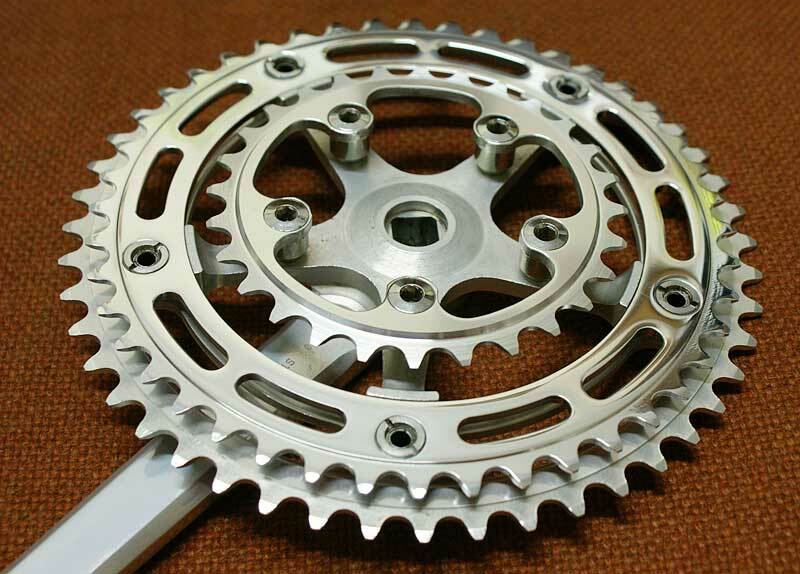 Bob took a Campagnolo double crank and drilled it by hand with chainring used as a template to create a triple chainring. I had to take a few moments to really absorb the images and pull this clever solution apart in my mind once I knew the story. Note the Campagnolo (48T) outer, EAI new production (44T) middle and TA new production (28T) inner. 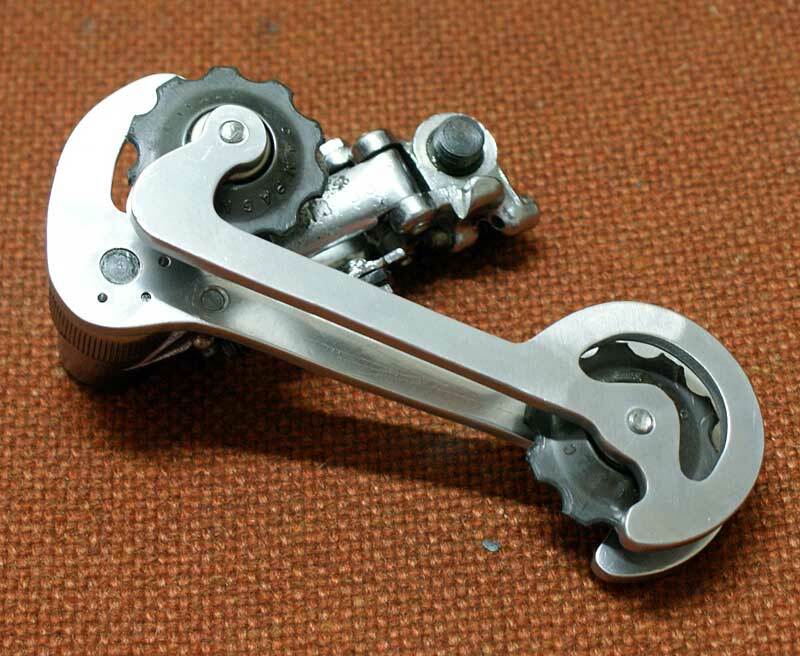 To take up chain slack for nearly any gear situation, Bob modified an early Campagnolo Record cage and rear derailleur to create a beastly shifting cage ready to swallow any gear combinations. 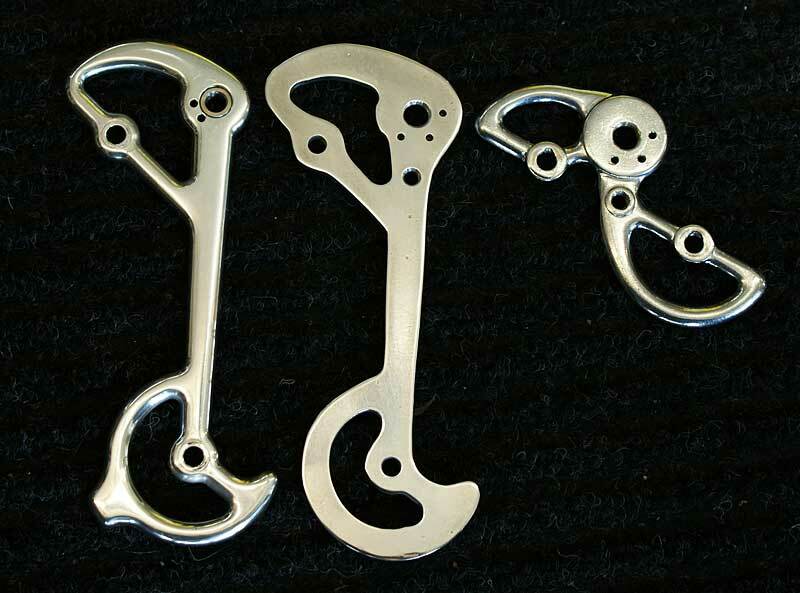 The images below are Bob’s first prototypes and what was mated to the Cinelli. Once his design was solidified, he turned the plans over to Merry Sales to manufacture and currently sells the cages at SOMA. Below is their product description. When you have a frame of this magnitude, you bring out the big guns. 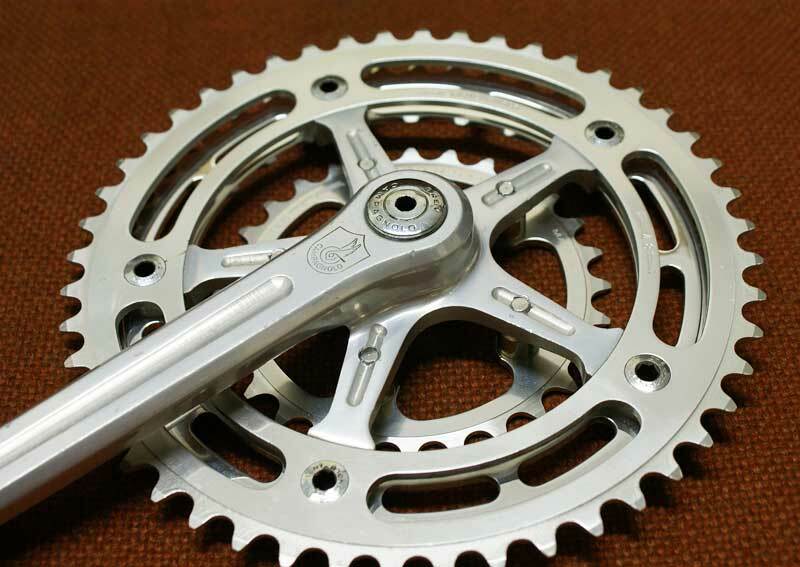 Legendary and highly coveted Campagnolo 3-piece, Gran Sport high flange, new old stock hubs were pulled out to set the standard. These flanges are highly drilled and stammeringly elegant on their own. Mentioned above, this chronicle has the full spectrum of history. What could cap off this documented past and glorious refresh of a classic machine? Simple. Real world use. After such painstaking detail, time and money restoring this frame, one could rightfully hang it as art with little argument from some. Bob had other plans. Since the beginning, this bicycle had a destiny of riding in the country of its origin. 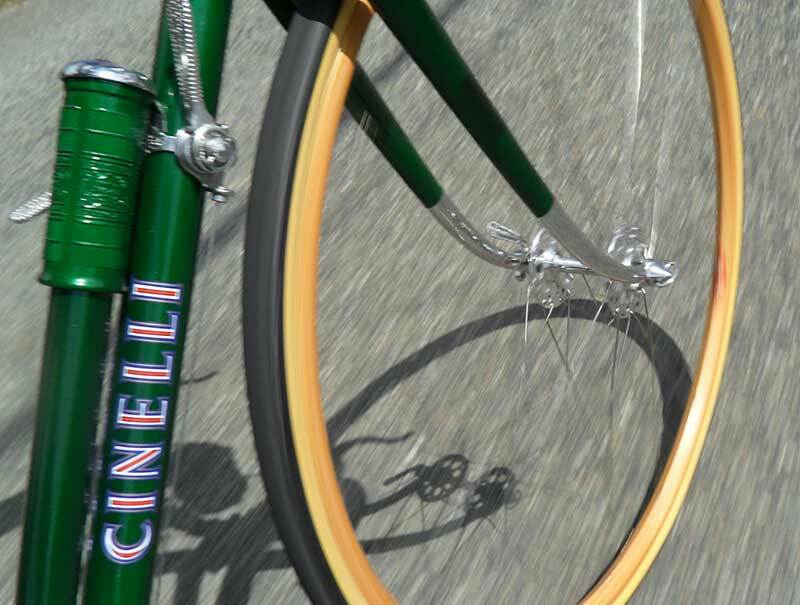 In 2012, the Cinelli was ridden in the prestigious, annual Italian cycling event, L’Eroica. For those who don’t know, isn’t your typical road race. The ride is inspired by historical cycling competitions and the routes include long segments of white gravel roads. It can be physically draining on a rider and challenging on older components, especially on tires and paint finishes with the flying rock and other elements. However, while reading the L’Eroica registry certificate, I smiled as I read the Italian registration team wishing each rider to “experience many emotions on our white roads.” I can’t help but think those “many emotions” are felt at each pedal stroke Bob takes, whether he is on Italian soil or in his home in the tall, lush trees and smooth back roads of Washington. These, and many more images of the Cinelli Corsa can be found on Bob’s Flickr site. 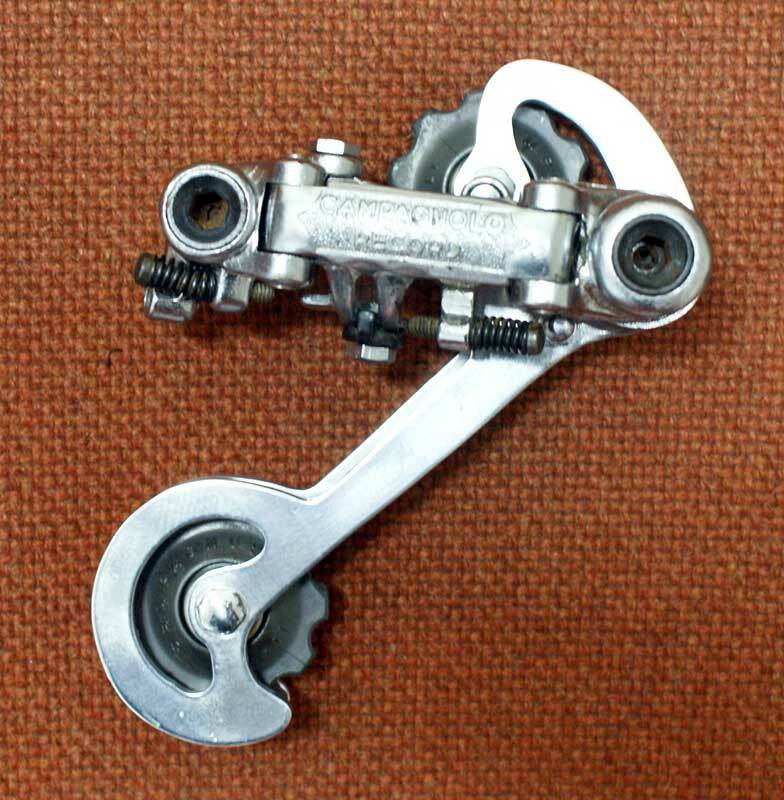 Rear Derailleur: Campagnolo “steel” Record, triplized. 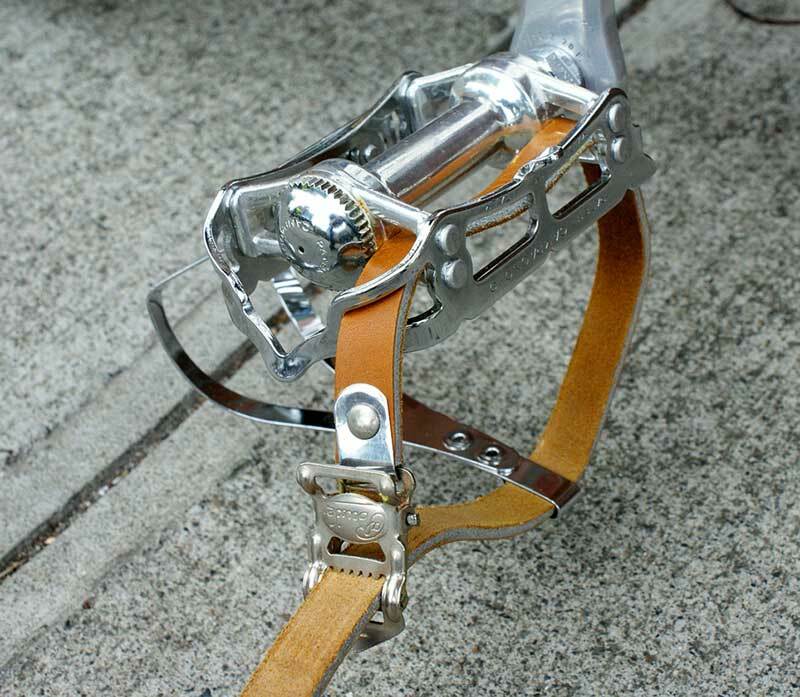 This entry was posted on January 3, 2018 by Josh C. in Tell Your Story, Topics and tagged Alfred Binda toe straps, bicycle restortation, Bikecentennial, Bill Davidson, Campagnolo 3 piece hubs, Campagnolo Gran Sport 3-piece Hub, Campagnolo high flange hubs, Campagnolo long cage, Cerchio Ghisallo wooden rims, Cinelli Model B, Cinelli Supercorsa, cork brake pads, De La Rosa and Kolin's Northwest Cycle, Elliott Bay Bicycles, Kian Hong Cycle shop, L’Eroica, Merry Sales, Rechrome, Sekai Bicycle Co, Silca painted pump, Soma, Unica Nitor plastic, Veloflex tubulars, vintage bike restoration, vintage Italian bicycle, wine cork brake pads.